When you stand on the CV9 Vibration machine platform it produces vertical vibrations. 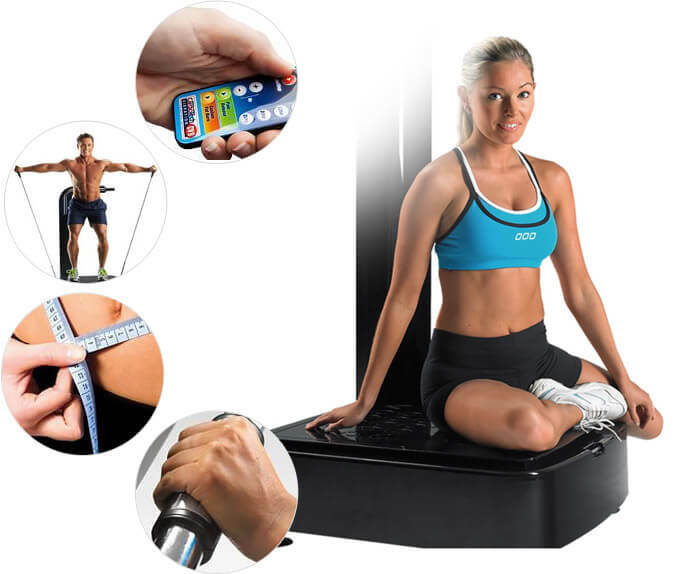 The energy of the Vibration plate is safely and effectively transferred to your body. Our body reacts to the natural stimulus with an involuntary reflex muscle contraction. 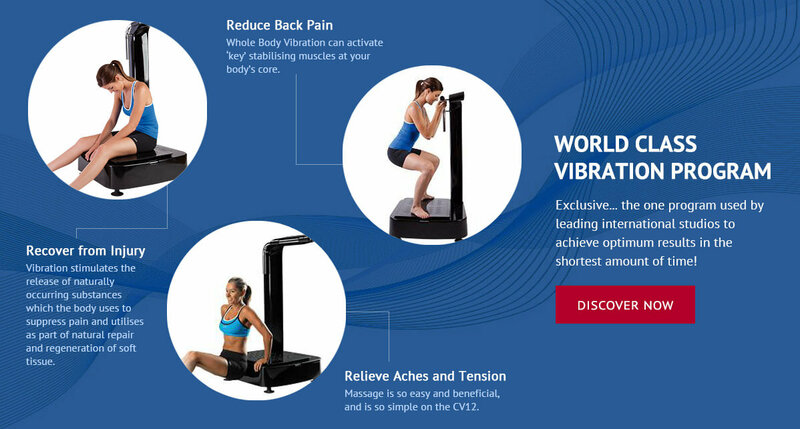 The Vibration Machine provides a unique way to exercise your body with minimum exertion. Exercise is designed to increase circulation. Increased circulation increases blood flow to joints and muscles. Seamless control over every position at your fingertips. Adaptable to all heights and strengths so your body’s resistance can be used to its maximum advantage. Keep an eye on your body fat percentage so you can adjust your training and fast track your fitness goals! I am 69 years old. I have been going to a Vibration Training studio for 13 years. 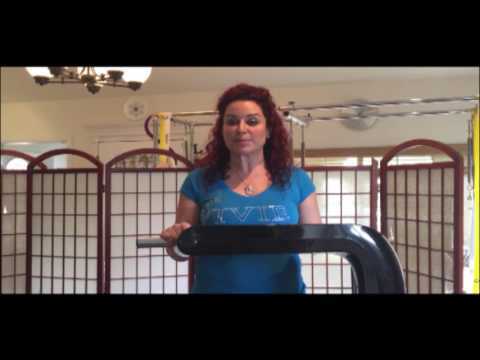 Before starting my Vibration Training program I had developed acute vertigo and kept falling over all the time, to a point I was unsure of going anywhere by myself. Vibration Training under an experts instructions and program has given me back my balance and helped with my movement and flexibility. I have gained my confidence back to do all the hobbies I used to enjoy. I have always been competitive so entered the World Masters Games in Canada and Europe to compete in distance walking, baseball and swimming. In my opinion, this technology is nothing short of a miracle if used properly. I was diagnosed with psoriatic polyarthritis at fourteen. I was never a sporty teen, but this cut exercise out of my life almost completely. I lost a lot of muscle, and found flare ups particularly hard to deal with as I had no strength for simple tasks (opening an already open bottle, for example, or moving my legs beneath a duvet). When I was nineteen, I decided it would be good to gain some muscle to help during these times. I signed up to a gym and started resistance training at home too. Despite seeing a trainer who was aware of my condition, I was never able to build up noticeable muscle because the repetition of movements would make certain joints flare up, particularly my knees, shoulders and elbows. I came across vibra-training during this time. Within a month of going only twice a week following a program set out by Lloyd Shaw, I felt and looked stronger. Now, I have been vibra-training regularly for the last four years. I have never had this much muscle tone in my life, and when I do flare up, I find the symptoms much easier to deal with. I get less tired, less sore, and much less weak. I still do vibration Training through a flare up because I find it helps, and have never experienced extra pain from doing so. My flare-ups have also been shorter. I haven’t had a significant one now in over two years, and am off methotrexate for the first time in ten years. My rheumatologist, Dr. Sue Rudge, commented on the marked difference of my muscle tone during my last examination and agreed that this added muscle would be helping my condition. Simply put, I have never felt so good in my own body. I am 75 years old. 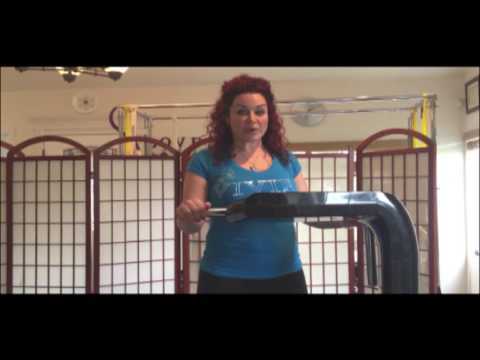 I have been using Vibration Training for over 10 years now, and have followed Lloyd Shaw's instructions and advice. It has given me a good quality of life. I can maintain a good weight, strength and flexibility to do the things I love like gardening, line-dancing and extended walks. A friend of mine convinced me to enter the World Masters Games in Auckland 2017, where I won a Gold Medal for the 10Km run-walk in my age group. Something I would not have even considered in my 60s. become part of the movement? and get rid of your extra weight – for good!